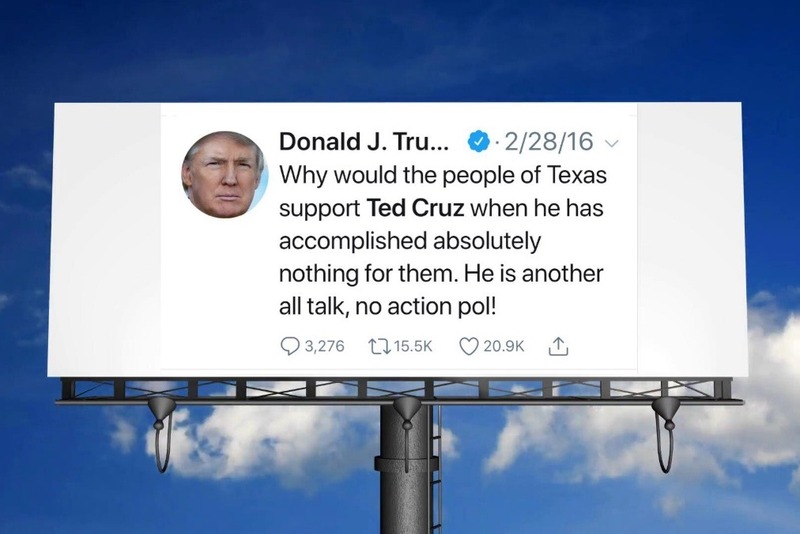 Deep in the heart of Texas, a billboard truck will soon hit the road with a curated list of President Donald Trump’s tweets — attacks on Sen. Ted Cruz, a former political foe. Trump popularized the term “Lyin’ Ted” in 2016. But it’s 2018 now, and Democratic voter mobilization and an unlikely challenger have mounted an improbable campaign for a reliably Republican seat. Trump said an October rally is in the works to lend Cruz support. “I’m picking the biggest stadium in Texas we can find,” Trump said Friday on Twitter. 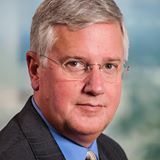 “Help from the president was long unthinkable in a race that for months looked like a Cruz cakewalk,” the Associated Press reported. Antonio Arellano, a Houston-based activist and Latino community organizer, thought fellow Texans may need a reminder of how Trump has suggested they vote when Cruz is on the ballot. He was already in the market for a billboard when he tweeted a doctored image carrying a real Trump tweet from 2016. Arellano said the actual billboard will be a mobile truck with two sides, and could carry two different tweets at once, one on each side. The route has not yet been planned, but Arellano said he is exploring where in the state he should dispatch it with the hashtag #TrumpTweetTruck. The GoFundMe page for this, which is where the embedded image originates, raised more than it asked for and is no longer accepting donations. (Do feel free to give any money you had in mind for this to some candidates.) My guess is that they’ll pick a route once Trump picks a stadium for his pro-Cruz rally, but I’m sure wherever this goes, plenty of people will enjoy seeing it. I look forward to about a million pictures of it on Facebook and Twitter. ThinkProgress and Mother Jones have more.